If any user searched/opened/downloaded any file. If a file is uploaded/renamed/deleted from the machine where BigMIND software is installed. From the left side menu, Select the Audit option. The Audit Viewer page will be opened. 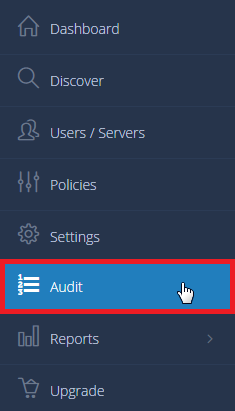 In the Audit Viewer page, you can be more specific regarding what you need to check, by filling in the search fields, and clicking the Search button. To learn more about the types of Audit BigMIND provides, check out this article.